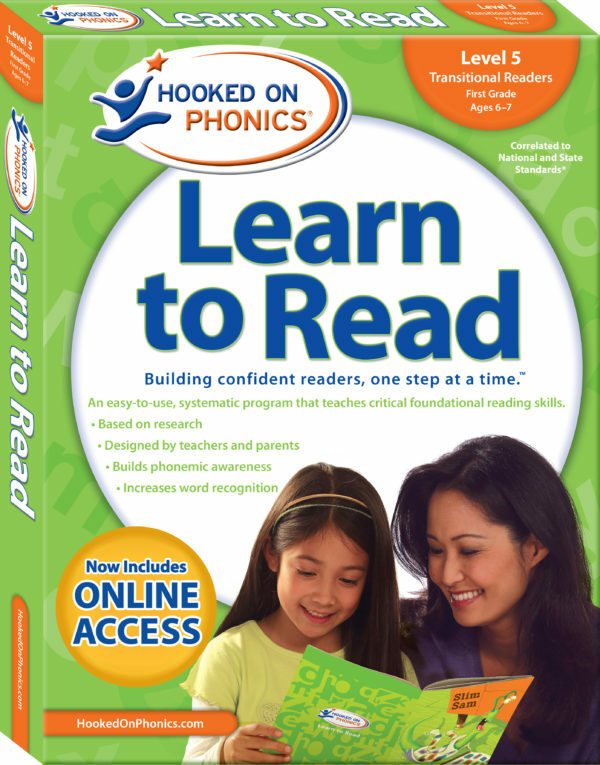 Hooked on Phonics® Learn to Read Level 5 is the first 1st Grade level in the complete 8-level Learn to Read series. 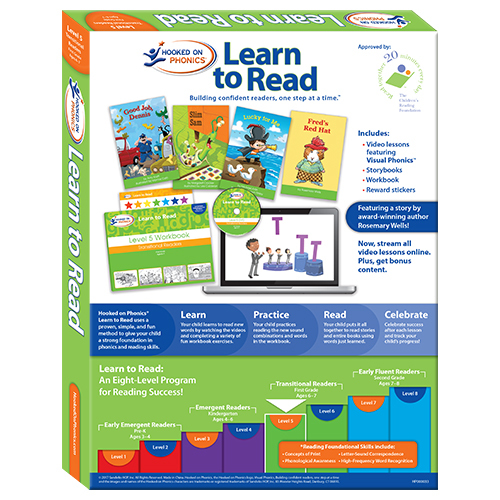 – Learn: Your child learns to read new words by watching the DVD and reading the workbook. 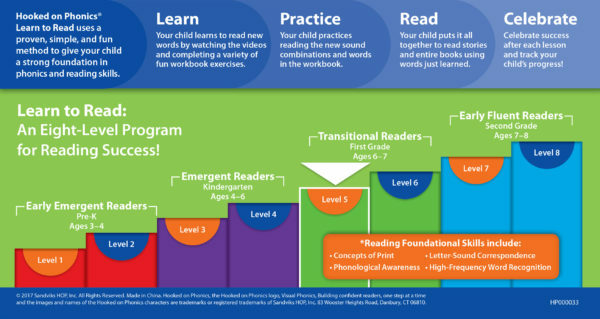 – Practice: Your child practices reading the new sound combinations and words in the workbook. 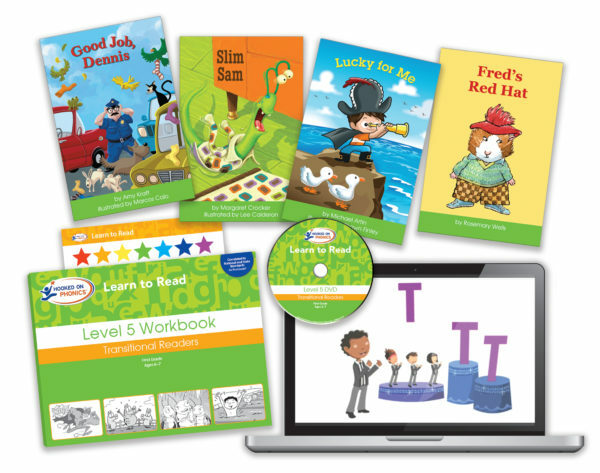 – Read: Your child puts it all together to read a great story. – Celebrate: Celebrate success after each lesson and track your child’s progress!